Compassionknit – Page 76 – Welcome to my little knit corner, where anything goes! This beading stuff is very fun for me. I’m knitting a bag with highland superwash sock yarn. The yarn colorway is called Beards and Mustaches which I won awhile back. I love this yarn and it has been waiting for just the right project. I knew it had to be my beaded bag base. The beads are size 6 and were easy to thread. I’m having fun with a technique that I’ve never tried. I don’t seem to be in any hurry to make progress as long as I’m able to sit with the bag for a while each day. I’ve been writing for the barn as they asked, and I’m getting better at the computer. You were all right. I’m getting it. On my way home, I pass a great farm stand. ]ust look at these petunias. Annuals mean summer to me. The farm stand sells all kinds of fresh produce. They also make their own caramel corn, zucchini bread, banana bread, snickerdoodle cookies, oatmeal raisin and chocolate chip peanut butter cookies. They sell honey that is the work of local bees. Their corn is so sweet you can eat it raw. Open every day from now until Halloween. When I stop here I get enough food for a few days and I can skip the local grocery store. It is a joy of summer that is new to me and I love it. Do you have a summer farmstand? Vera went beyond spoiling me for our swap. KIM!!! See my new bag. ? beaded bag project. Maybe I wont mind weaving in ends with her colorful darling needles. Um I had NO small stitch stoppers. These are perfect for the size 2 needles I am working with for the bag . Aren’t they so cute? And not likely to get lost in the house with those nice vibrant colors . The felted bowl is beyond cute. It is going to “my” desk at the barn . I plan to fill it with candies at all times. Oh maybe not, then I’d only get to see it once a week or twice. Vera, question: did You double the yarn on the round part and not on the base so it stands so nicely? I was showered with two lovely Darling Clementine notebooks and sticky notes. I’m going to designate them for special jottings down. Maybe a gratitude journal and a poetry journal.??? Tyg sent the cats treats and little mice to play with. Pie killed the darling felt mouse and promptly carried it away to her stash hiding place. As for the new dish towel, it was sorely needed. What an amazing gift envelope Vera. thank you thank you thank you!!!!! Gentle reminder others: you have till the eclipse to get your swaps in the mail. Really? This knit bikini is in a current issue of a knit magazine I leafed through at Barnes and Nobles yesterday. There is so much wrong with this that I cannot begin the list. 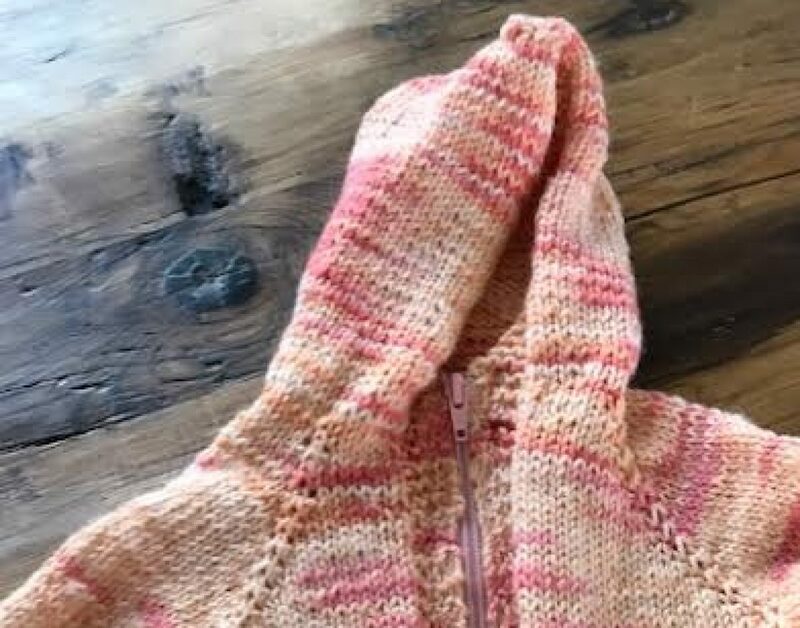 If you, however, are in the market for a bikini to knit….you know, in the event you would like to scratch yourself in sensitive areas while on the beach, this may be it. This frog dial keeps very accurate time. The previous owners left it here. Oh simplicity, technology does not have you beat. I give you NEW growth. New green growth and a flower on the way. Hooray! Perhaps the clematis are going to recover after all. My cosmos are blooming. I casually tossed them in the soil in May and forgot them. They are looking smart next to my cheery zinnias. This Could have been a wordless Wednesday, but all y’all know that I am nothing if not wordy! Happy Wednesday pals. I’m off to read your blogs and leave comments. A couple of things Happened this weekend. Unexpected things. Some good, some not the best, but just part of life. No, it is not about the fox catching turkey chicks again. In fact, on that front, Fireman saw 4 kits (fox) playing in the yard on Sunday and they appeared well fed. We have also seen other Turkey pairs with a bundle of chicks this week. You folks who grew up country must laugh at my naiveté. Keep eating those tics turkeys. I had that jealous of all of you going to the Stitches Midwest market thing going. So I hopped in my trusty Honda, Rhonda and went to Needles n Pins. Planning on another Half Pi shawl, I came out of there with a beaded bag pattern, cool beads, and bead threader. That’s how it goes for me. Impulsive, yes. Inspired, you bet. I was keenly aware of a noise Rhonda the Honda was making going over any kind of bump. If you were one of those who passed me, Sorry, I drive slow. I think you all drive way too fast up here, anyhow. When I got safely home, I followed Standard protocol and reported the noise to Fireman. My diagnosis: something in the trunk is rattling around. Possibly the many bottles of hand sanitizer or a Firefighter helmet. Fireman took her for a spin right to the mechanic. She was pronounced nearly dead on arrival. Apparently years of Illinois’ salted winter roads rotted her 19 year old carriage to the core. Beyond reasonable repair. I was in shock. I went through all the stages of grief last evening as Fireman and Zach laughed. Rhonda, how? You have not one drop of rust on you. Zach just drove to Central Illinois with you for a wedding . Then I thanked her for not dumping her parts all over I-94 while Zach drove her. She’s going to salvage soon. We will be a one vehicle family to see if we can do it. I think we can actually. There are other ways to get around…..
By the way great news: Channon is back to posting: Of pups and pearls blog! Missed yoU! I didn’t go to Stitches Midwest, but my pal Karen did. She saw this creation. Would you knit and wear this skirt? Have you knitted or crocheted with beads? Do you like when men grow their hair long? Where do you get most of your knit/crochet project inspiration from? What color are your toenails painted now? How do you store your knitted/crocheted gifts until you give them? The name of the last lake or river, you saw or visited is? Elephant ears, lemon whip or shaved ice at the fair? *while I think some women could wear this skirt and look fabulous, I think it is made for the tall and skinny. I’m not tall or skinny. I hope friend Meg knits it and wears it as is the plan. *I am starting a beaded purse/bag. Just stringing the beads was hypnotic. Look out, I’m going to like this! *I haven’t worn eye shadow in a long time, a very long time. Say 1978? I simply rub my eyes too much, and am too lazy to wear it. Fireman just may not know who I was if I put some on! *Yes. I love clean long hair on men. If they happen to be Asian or have super straight hair I love it all the more. In a sleek ponytail. I’m thinking of who I can nominate for Kim’s Hunks with long hair. *Truly, I get most of my inspiration for knitting in yarn shoppes. I came across the beaded bag today in Needles N Pins and was sure I had to knit it. I went in looking for a shawl pattern. Jokes on me! *Doreen at Needles n Pins suggested I wrap my gifts in tissue and put them in a gift box . Stick them in a drawer until I give them. Easy enough. I may put some lavender in the drawer too. She did not suggest plastic bags. She wanted them to breathe. *The last Lake I saw was Silver lake . I passed it today near the town of Millard. Pretty, quiet lake with lily pads. *The last adult beverage I drank was a mai tai. Mmmmmmm. Have fun with the Q and A. It has become a fun routine for me. Thanks for the encouragement Kim, Dee and the rest of you!!! I do a little dance. Happy Saturday! (Sweet Georgia Yarns in Sugar Shack and Linen colorways. The Orangery Shawl, by Feller . It is late. She’s off the needles. The Orangey Shawl. Shorty after I took this photo, I dunked her in the bath and she is now blocking on a towel. This is my 4th shawl this year. Who knew I’d be a shawl knitter in 2017? This one…I’m keeping. I love how it sits on the shoulders. I’ll have Zach take some photos of me wearing it in a few days after it dries blocked. I enjoyed knitting this one!